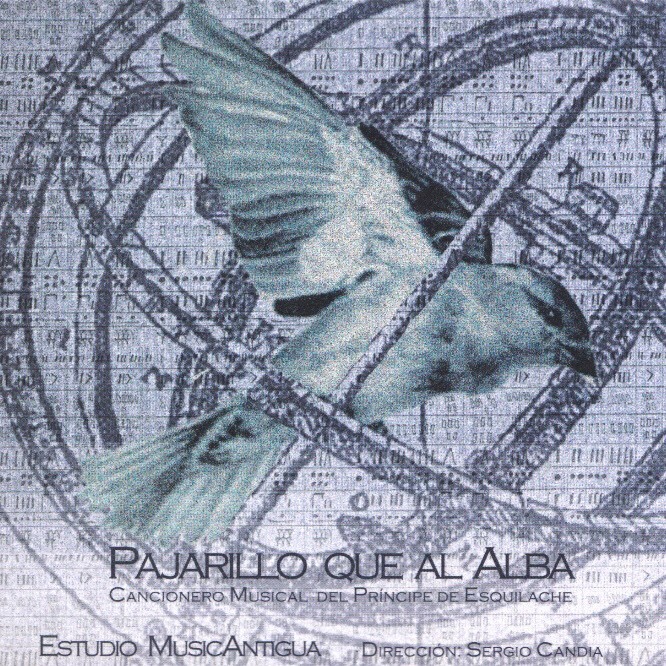 In this album, the MusicAntigua Studio, under the direction of Sergio Candia, interprets a selection of compositions with texts by Francisco de Borja y Aragón, Príncipe de Esquilache. The fame enjoyed by the viceroy poet led his verses to be part of important musical repertories of the era such as the Libro de tonos humanos, one of the sources that has been used to carry out this recording. Regarding the field of music, we find ourselves, in words of Alejandro Vega, facing a “fascinating sample of the profane polyphony of the XVII century, which, under its appearance at conservative’s first sight, is full of musical and expressive subtleties that give it an undoubted beauty”. Resonancias vol. 11, n°21, noviembre 2007, pp. 83-86.